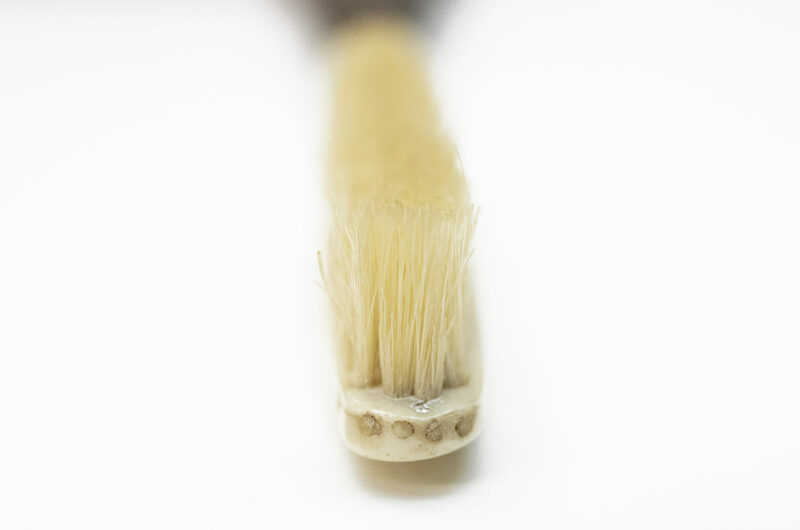 From the late 18th to mid 20th centuries, the most common natural bristles used to make high-quality toothbrushes came from the neck and shoulder hairs of older wild hogs (boars) living in the cold climates of Siberia or the mountainous regions of northern China. Using wires or threads, brush head tufts were formed by drawing the bristles through holes drilled into the handle stock. As labor was cheap during the 1800s, the manufacture of very ornate toothbrushes with fancy handles was encouraged particularly in France. 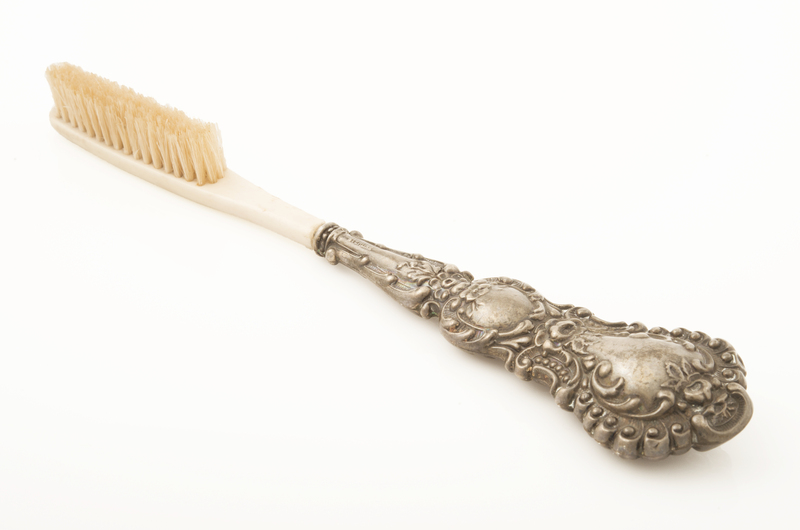 Circa 1810, silver toothbrush sets were made as luxury items appealing to the upper classes. Later that century, similar sets could be purchased from Sears & Roebuck and other mail order retailers. Addis, R 1939 The History of the Toothbrush. Br Dent J 66:532-533; Freinkel, S 2011 Plastic: A Toxic Love Story. New York, NY: Houghton Mifflin Harcourt; Mattick, BE 2010 A guide to bone toothbrushes of the 19th and early 20th centuries. Bloomington, IN: Xlibris Corp; Wolf, W 1966 A history of personal oral hygiene—customs, methods and instruments—yesterday, today, tomorrow. Bull Hist Dent 14(4):54-66. 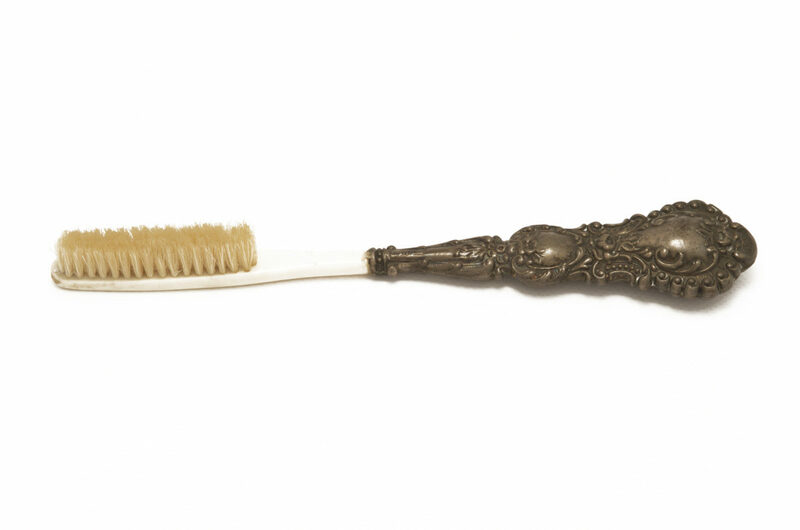 This Victorian-era toothbrush (A148.1) was made in France circa 1890. 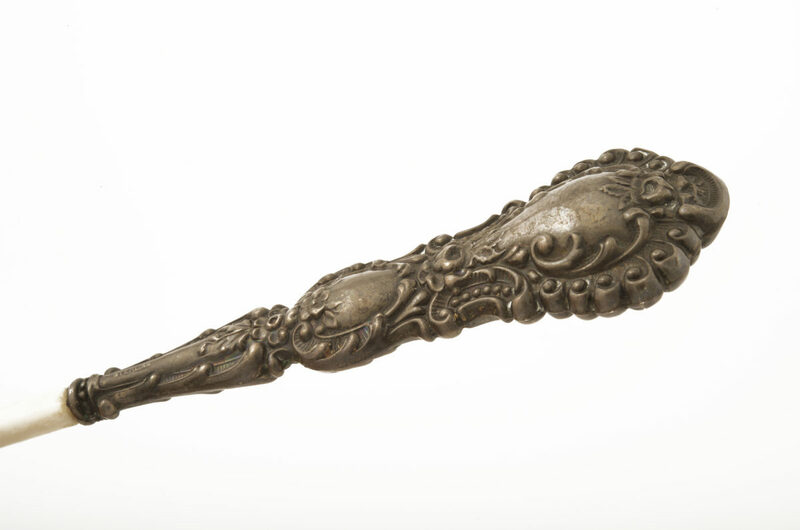 The toothbrush handle is made of sterling silver cast in an ornate design. The toothbrush stock is made of ivory-colored celluloid. Registered in 1872, celluloid was an early plant-based plastic-like compound initially used as an ivory substitute. 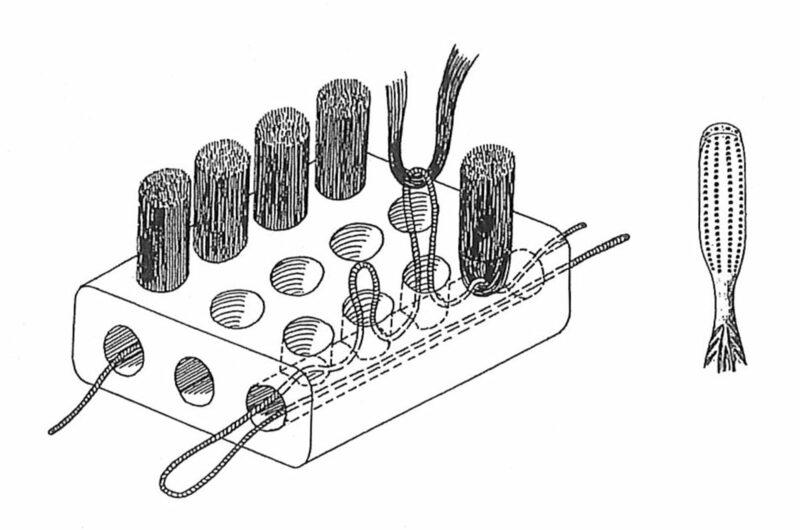 It was the first compound used in a thermo-injection process to rapidly produce multiple copies of a toothbrush stock or handle.